It’s true: innovation is at the heart of SPU. In case you haven’t noticed, things are happening at the Jean-Léon Allie Library and Archives, too! For the past few months, foremen, workers and employees of Facilities Services have been busy turning the Library premises into a space that is as bright as the minds that work there. Want to know more about the project? Here are some answers to your questions. Q. I would like to get writing help for my assignments. Who do I contact? A. You will find the Writing Centre in the Library, in room 1251. The schedule is posted on the door, but we invite you to make an appointment by writing to redaction-writing@ustpaul.ca. Q. I would like to book a study room for me and my teammates. Are there other study rooms for students available on campus? How do I book one of these rooms? A. 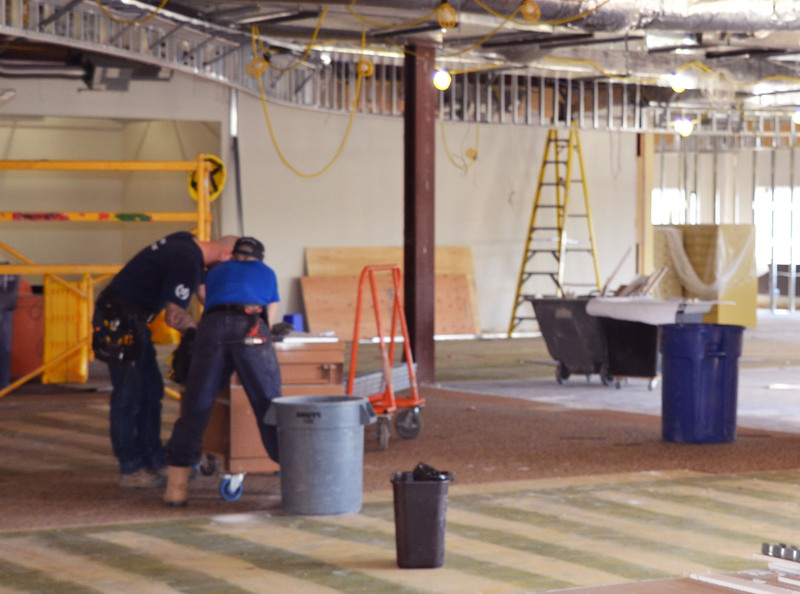 While the work is being done, the Library study rooms are unfortunately not accessible. However, you can use the Student Life Centre’s multipurpose study rooms, which are always available. Q. I would like to find out about doing an internship. Who do I contact? A. The Internship Office is on the second floor of Guigues Hall, in room G240A. For more information about internships, write to stages-internships@ustpaul.ca. Q. I have to make photocopies of required reading or to print an assignment. Where can I find a printer / photocopier? A. You will find a printer / photocopier at the entrance to the Library, and another one near the computer stations. Q. I don’t have a personal computer. Where can I find a computer station? A. You will find computer stations on the second floor of the Library, near the washrooms and the elevator. Q. I was hoping to find a quiet study space on campus. Where can I study and work where it is quiet? A. Don’t worry. Library staff will be happy to show you a quiet place where you can work. The Library has several suitable cubicles for individual work, which are accessible even during the renovations. The campus also has a number of quiet spaces. Q. Why is someone checking my bag when I leave the Library? A. The anti-theft device is out of service for the duration of the renovations. The staff must therefore do bag searches until the main entrance reopens. We are counting on your collaboration and patience in this regard. Q. I am very allergic to dust. Can I still go to the Library while the work is being done? A. We had to remove the dust partitions on the main floor in order to allow workers to access the washrooms and elevators section. There should be less dust on the other floors. We apologize for the inconvenience. If you need to access the main floor and are bothered by the dust, please write to biblio@ustpaul.ca. Q. Why are these renovations being done? Why weren’t they done during the summer break? A. 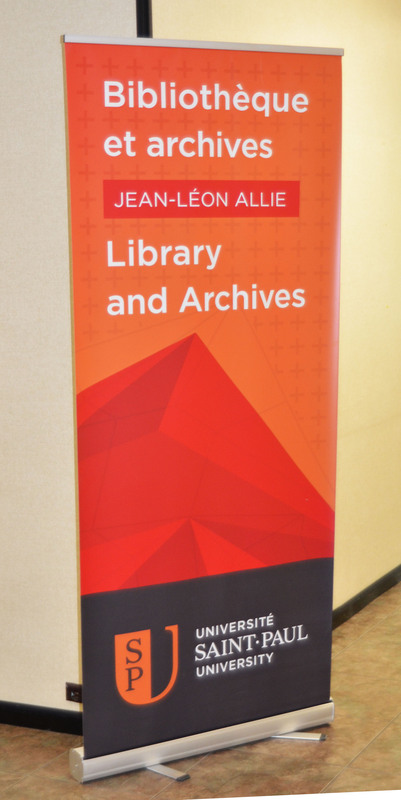 To better serve students and all users of the Jean Léon Allie Library and Archives, Saint Paul University decided to do a major transformation of the Library facilities. The goal: to bring together in one modern and dynamic learning “crossroads” a number of resources and services, from assistance with literature searches to the Student Academic Success Centre. It is such a large project that the work has to be spread over several months. Q. When will the work be finished? A. Although it is impossible, at this moment, to say exactly when the work will end, one thing is certain: every effort is being made so that the work is completed in the next few months. We are aware of the concerns that students may have, and we will keep you informed of any new developments. To find out more about the work being done, follow the Library on Facebook and Twitter. You can also contact the Jean Léon Allie Library and Archives team, by email at biblio@ustpaul.ca or by phone at 613-236-1393, ext. 2357.